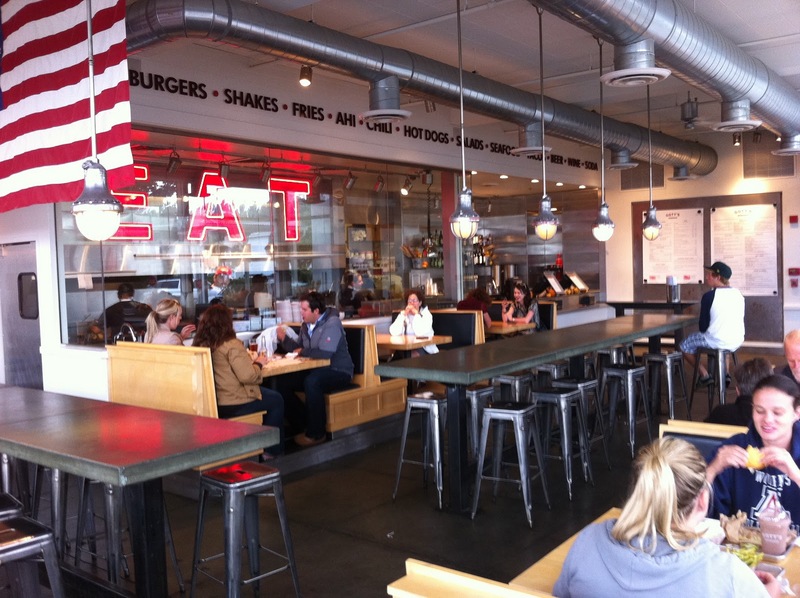 Opened as Taylor’s Refresher in St. Helena in 1949, the restaurant was bought from the Taylor family by the Gott brothers and the named was changed to Gott’s Roadside a few years back. We stopped for a late lunch on a sunny Sunday afternoon at the original location in St. Helena. At 2:00, there were about forty folks in line for this walk-up restaurant. While the menu was pretty fancy for a burger joint, it was not overly broad. 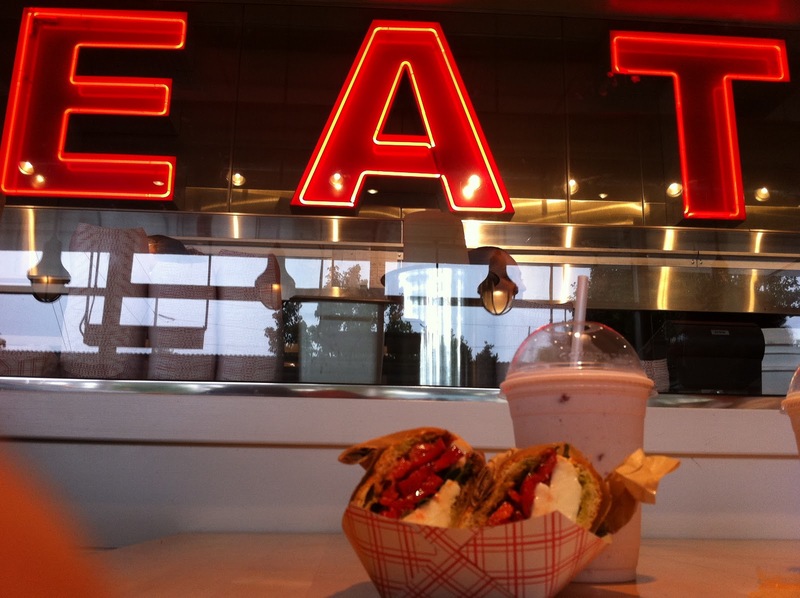 I had read in the Hamburger America book that the Espresso Bean milkshake was not to be missed. Not being a big coffee fan, I wasn’t sure what the big deal would be, but as I live with a coffee fan, while Jo waited and held our place in the food order line, I went to the bar and ordered an Espresso Bean shake for her. She said it was a winner (more about that later). 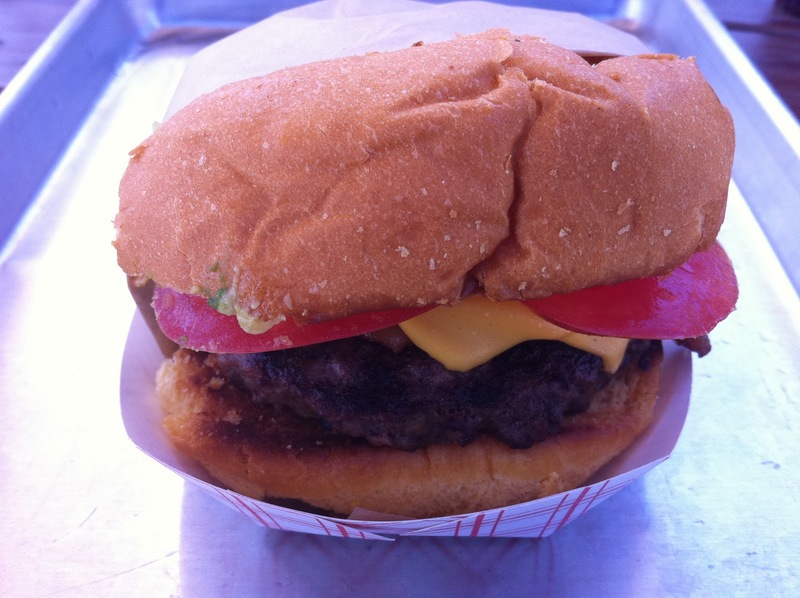 All burgers are Niman ranch beef and ground fresh daily. This one was expertly prepared, with the cheddar melted ever so slightly. Really tasty – I ate every bite. 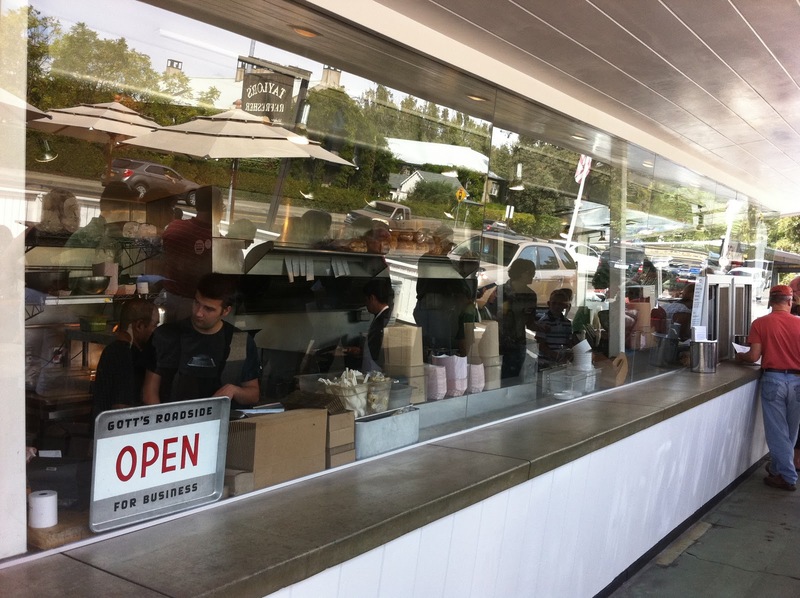 Conveniently, there was a Gott’s Roadside outpost about 5 miles from our hotel back in Napa. This one had inside seating, which was critical as it had started to rain one of those niggling Seattle-type drizzles just as we were leaving SF. When we got to Gott’s (ha!) I decided I ought to sample a shake, too. Being a man of simple tastes I chose strawberry. And, since we hadn’t had anything to eat in over ninety minutes, I sampled their daily special – a tomato and mozzarella sandwich. Essentially, a caprese on bread. Really nice. and since the sign told me to E A T, I felt that I was just doing my job….